Nishant has extensive management consulting experience with Accenture as a strategy and supply chain consultant. He has worked in variety of industries ranging from industrial equipment, automotive, energy, and finance in the USA and India. Nishant has a bachelor's degree in engineering from Johns Hopkins University and an MBA from INSEAD. 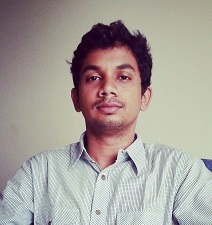 Akshay has prior work experience in Software Development at Jabong. He holds both a bachelor's and master's degree in mathematics and computing from the Indian Institute of Technology, Delhi. Meenakshi has over 9 years of experience across consulting and operations. She is currently a Manager with Monitor Group, where she has worked with several MNCs and Indian conglomerates in the consumer space. She has an MBA from INSEAD, Singapore and a Bachelor's in engineering from Indian Institute of Technology, Delhi. Vishal has a varied experience in technology startups, venture capital, and investing in public companies in India, USA and China. He holds a BTech (EE) from IIT Bombay, an MS from North Carolina State University, and an MBA with distinction from INSEAD. Nikhil has experience in the FMCG and management consulting industries with Cavinkare, Colgate-Palmolive, and Accenture. 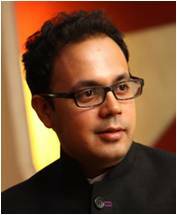 He holds a bachelor's degree in mathematics from Hansraj College, Delhi Univesity, and an MBA from Indian Institute of Management - Indore. Ankit has expeirience in IT, finance, and management consulting in the USA and India. He has worked in organizations including McKinsey, Citigroup, and Borders. Ankit has also served as Founder & Managing Director for Campus Stop, a social networking site based in the US. He holds a bachelor's degree in engineeing from Michigan State University and an MBA from INSEAD. Tushar has experience in finance with Deutsche Bank and Bank of America Merill Lynch and a hedge fund based out of Singapore. He holds a bachelor's degree from the National University of Singapore and an MBA from INSEAD.